Silver-toned Rhinestone Monogram Cake Topper. Available in letters A through Z. 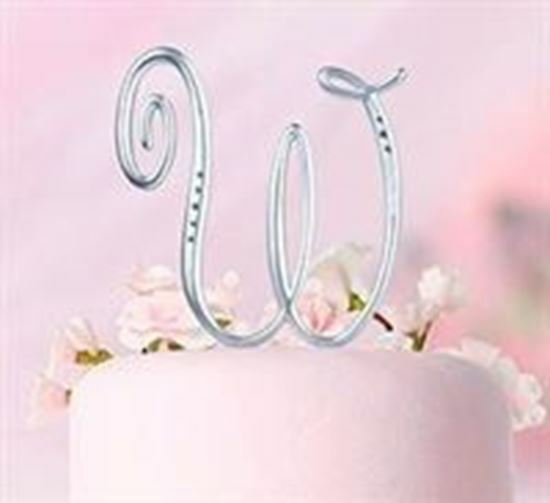 Available in letters A through Z, these silver-plated monograms make great cake toppers for the wedding reception. Each letter stands 5.5" tall and has a pick (or picks) at the bottom for inserting into the cake. Each monogram has decorative rhinestones.